While many organizations want to hear more of the “voice of the customer” and quickly launch surveys to gather that feedback, few actually reap the benefit of that data in a way that increases customer satisfaction and more importantly increases customer engagement and loyalty. With today’s easy-to-use survey tools, anyone can create and distribute a survey and run tables, but few see value. 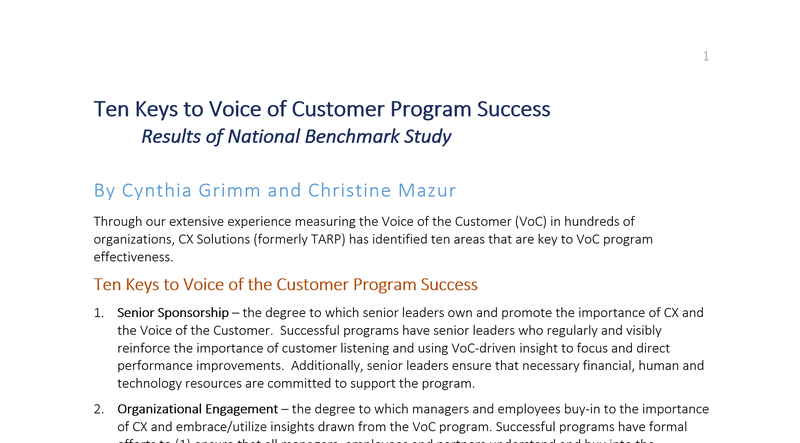 Our research, in partnership with Voice Crafter, through the 2017 Voice of the Customer Practices and Effectiveness Study, identifies key factors that lead to an effective Voice of the Customer Practice. The research, with 289 companies nationwide across a variety of industries, targeted individuals who are primarily responsible for managing their organizations VoC program or are members of a team that provide support to VoC users/stakeholders. Helping the organization achieve desired financial and business results. So, obviously more than just sending surveys. 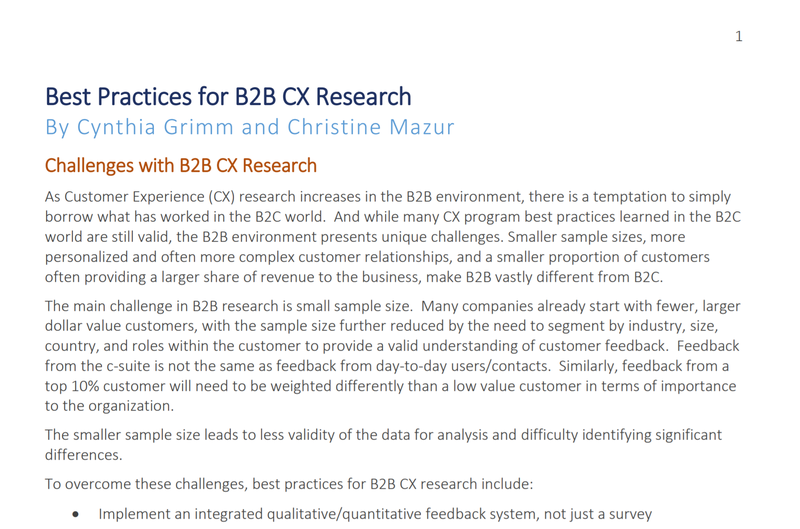 Over the next few weeks we will be posting more information about the results of our research and how organizations can build truly effective VoC programs that drive business results.